FREEbie: 4th of July Coloring Sheet! You are here: Home / Holidays / 4th Of July / FREEbie: 4th of July Coloring Sheet! Here’s a great FREEbie for your kiddos for the upcoming 4th of July holiday! 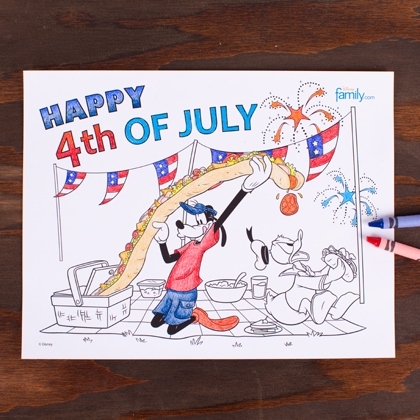 Download a FREE Donald and Goofy4th of July coloring sheet for your kids! My daughter will love this one – coloring is one of her favorite things to do!